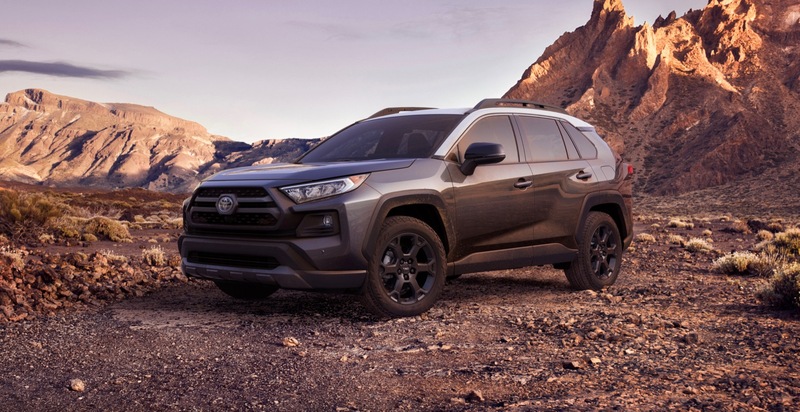 Toyota is expanding the RAV4 lineup with the addition of the 2020 RAV4 TRD Off-Road, which debuted today at the Chicago Auto Show. 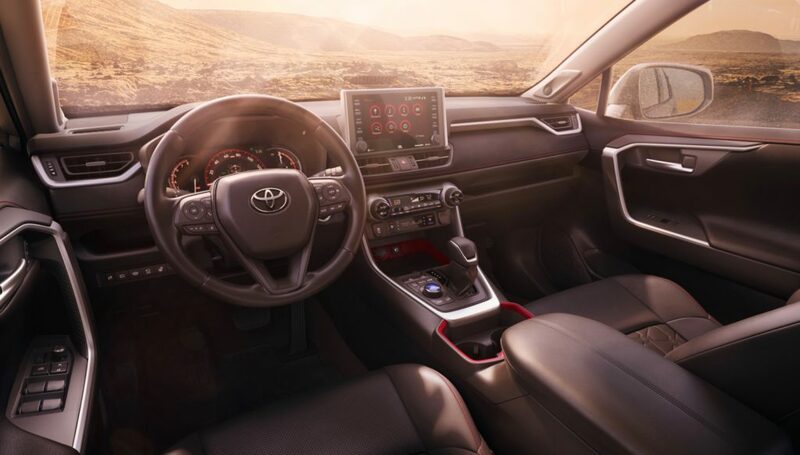 The 2020 Toyota RAV4 TRD Off-Road is an even more adventure-ready version than the RAV4 Adventure trim level. 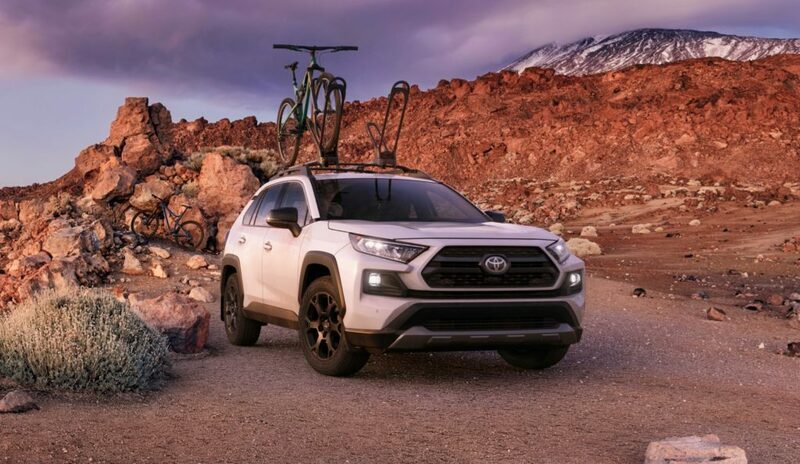 The RAV4 TRD Off-Road builds on the Adventure model, but its suspension, wheels and tires have been tweaked to make it even more capable off-road. 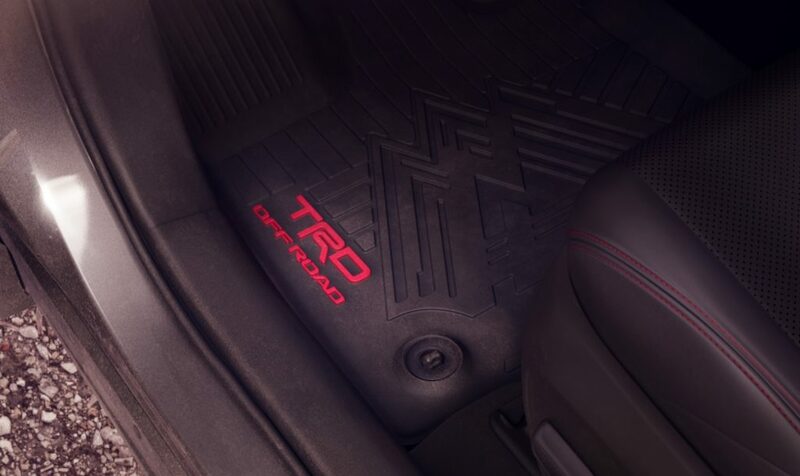 A TRD Off-Road suspension has been added with unique red coil springs. The twin-tube shocks are re- valved and feature new internal rebound springs, while ew bump stops maximize compression direction wheel travel and help improve body control over large bumps and dips. 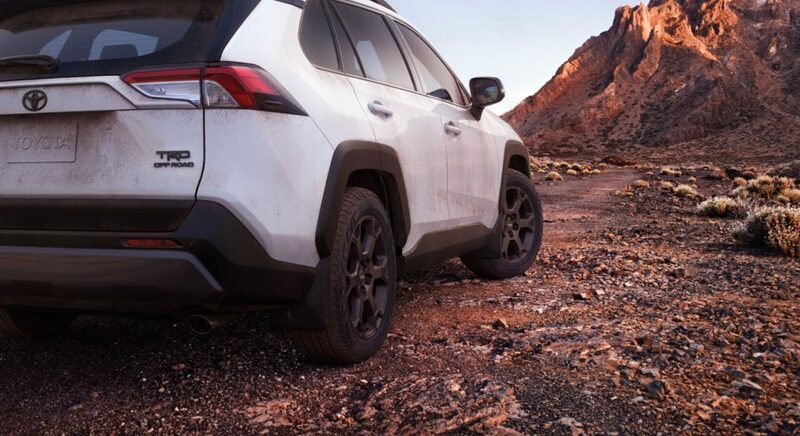 The RAV4 TRD Off-Road rides on 18-inch matte black TRD alloy wheels with Falken Wildpeak A/T Trail all-terrain tires. Under the hood it’s powered by a 2.5-liter, 203-horsepower four-cylinder engine, that’s mated to an 8-speed automatic transmission. The standard all-wheel drive system can send up to 50 percent of the torque to the rear wheels, in addition to shifting torque between the left or right rear wheel. 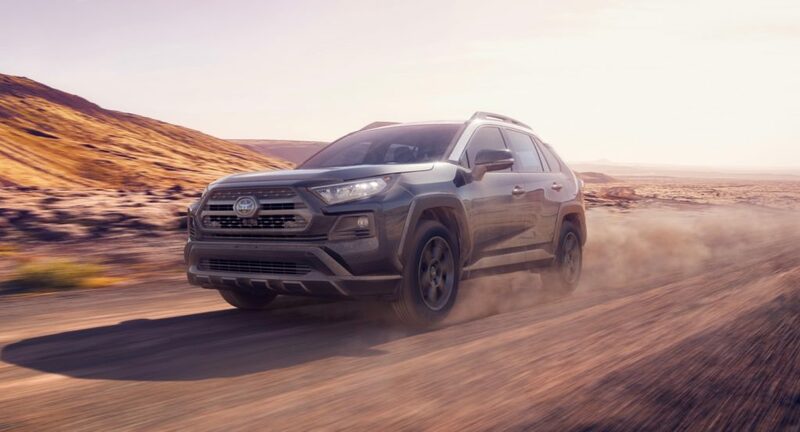 To help it stand out, the 2020 RAV4 TRD Off-Road features dark gray front and rear lower fascias, and LED fog lights. 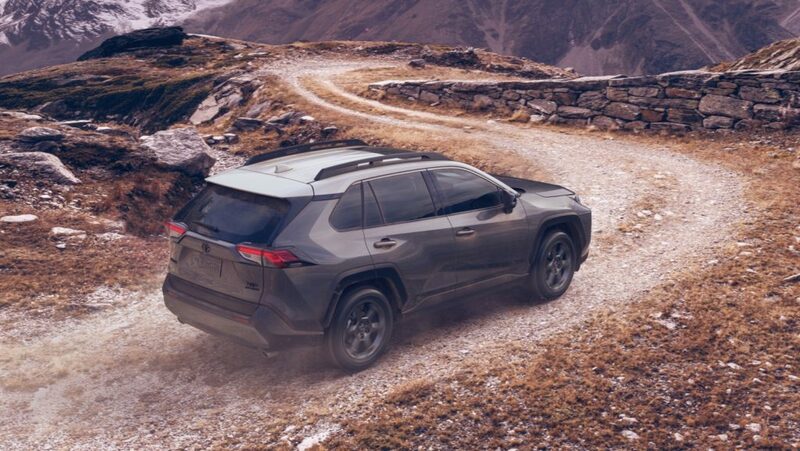 The RAV4 TRD Off-Road is available in Midnight Black, Lunar Rock, Ruby Flare Pearl and Super White.